President Harry Truman once said, “You want a friend in Washington? 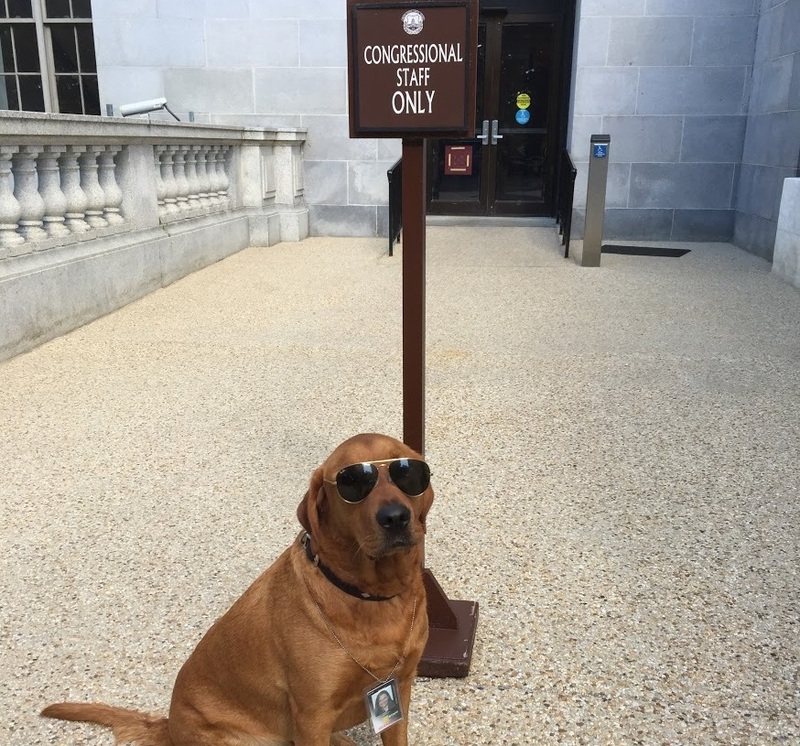 Get a dog.” There are a few Senate offices that are full of friends. A few dogs hang out regularly either as official “office dogs,” or because they belong to staffers who enjoy bringing in their pooches. Check back Tuesday to meet some of the dogs of the House. 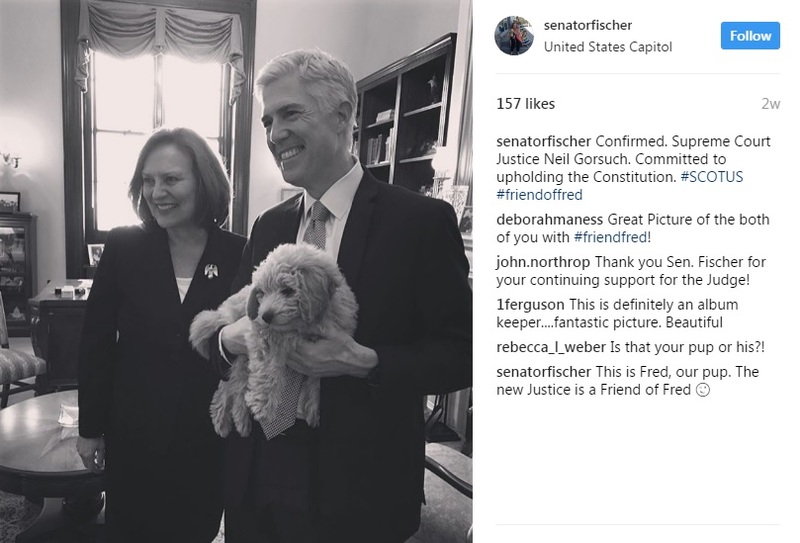 “Fred is undeniably adorable,” the Nebraska Republican added. “He brings a smile to everyone who sees him. Now that the weather is nice, my staff loves to take a few minutes out of a busy day to take Fred out to the Russell courtyard, turn him loose in puppy heaven, and enjoy the fresh air. “Jabber lightens the mood in what is a fast-paced and demanding environment. 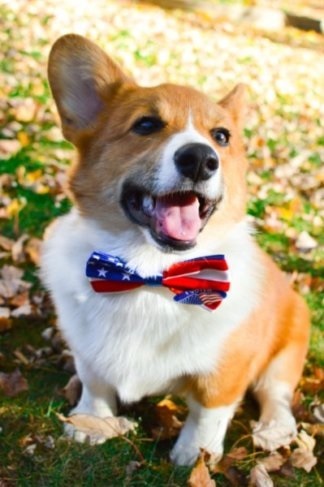 He can change anyone’s bad day to a great one with a single wag of the tail or a high-five!” Georgia Sen. Johnny Isakson’s office said in an email. He even has his own Instagram page @jabbers_labbers. 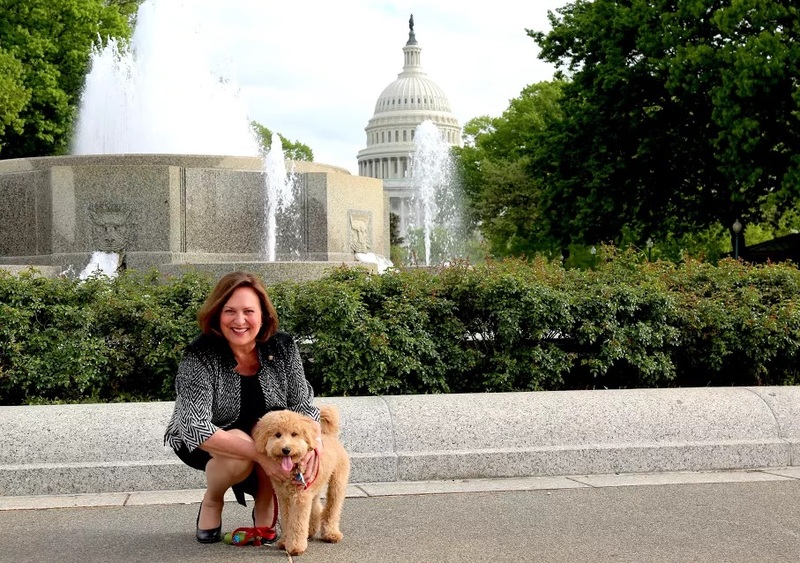 “I’ve brought him to the office a few times over the last several months during district work weeks,” said Oskar’s owner Matt Wolking, press secretary to Florida Sen. Marco Rubio. “Walking him through the building is fun — everyone who sees him smiles!” he added. Oskar also has his own Instagram page @OskarCorgi. Several dogs, belonging to different staffers, are often in and out of Montana Sen. Steve Daines’ office. 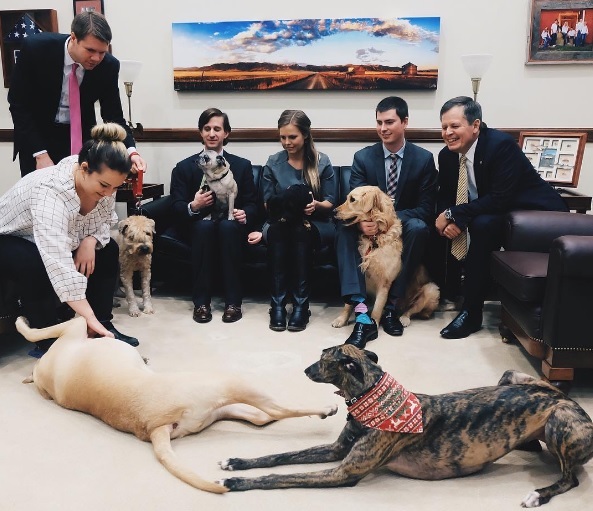 “Unlike many in D.C., dogs are always happy to see you,” Daines said.